Each day we feed our body to take care of its physical needs. We eat two to three meals per day with snacks in between. Without food our body sends out messages telling us “I’m Hungry.” We experience hunger pains, headaches, and weakness. Without physical nourishment we suffer the consequences. Our spiritual body also needs feeding but many are on a spiritual diet. Actually they are on a spiritual starvation. Feeding the spiritual side of you is more important than the physical side. When we deprive our spiritual bodies of spiritual food we suffer from spiritual hunger pains and we don’t always recognize what is causing them. We suffer from a void in our lives and we try to fill it with things we think will make us happy but it is like only drinking milk. It satisfies for a little while. The Hebrew writer wrote in chapter 5:12 “For though by this time you ought to be teachers, you need someone to teach you again the first principles of the oracles of God; and you have come to need milk and not solid food.” If you could look at the spiritual maturity of the Church you would see people who are spiritual babies and some who are spiritual adults. Some who are spiritual babies have been babies for many years, never feeding the hunger that rages within them. Physically they are well advanced in years but not spiritually. Set aside time each day to read your Bible. God has given you the instruction manual to your life; read it and don’t try to figure out things by yourself. Feed your soul and watch it grow. The beautiful poinsettias that will be displayed in our auditorium during the holiday season have special meaning. Below is a list of those who provided the plants and who they are honoring. Thank you to Nancy Bennett for coordinating this project. Deuteronomy 3:17 “When you have eaten and are satisfied, praise the Lord your God for the good land he has given you.”—If you enjoyed a good meal on Thanksgiving, or if you didn’t go hungry, remember that those gifts of sustenance come from God. Philippians 1:3-4 “I thank God every time I remember you. In all my prayers for all of you, I always pray with joy.—We have the love and support of a Christian family, an incredible gift sent from God. Psalm 30:12 “That my heart may sing to you and not be silent. O Lord my God, I will give you thanks for ever.”—We have the joy that comes from a relationship with the most high God. 1 Thessalonians 5:16-18 “Be joyful always; pray continually; give thanks in all circumstances, for this is God’s will for you in Christ Jesus.”—Even when our lives are not perfect or filled with difficulty, we have prayer, joy, and God’s promises to be thankful for. 2 Corinthians 9:15 “Thanks be to God for his indescribable gift.”—The “indescribable” gift sent from God—life, his son, eternal life, and so much more that is “indescribable” are ours to cherish. “Now therefore fear the Lord, and serve him in sincerity and in truth: and put away the gods which your fathers served on the other side of the flood, and in Egypt; and serve ye the Lord. And if it seem evil unto you to serve the Lord, choose you this day whom ye will serve; whether the gods which your fathers served that were on the other side of the flood, or the gods of the Amorites, in whose land ye dwell: but as for me and my house, we will serve the Lord.”—Joshua 24: 14-15. These are some of the most influential expressions in all of scripture. Joshua’s edification to the Children of Israel is one that still echoes in New Testament scripture even today. Jesus’s statements “If ye love me, keep my commandments.” John 14:15 clearly show that God still anticipates the same kind of whole-hearted service from modern day Christians that he expected from the Children of Israel. I can’t even begin to visualize how much courage it must have taken for Joshua to stand up before an entire nation of people that had for the most part chosen to serve other gods. Joshua, even though he was a leader, demonstrated tremendous courage and commitment to God when he made his declaration. The words of Joshua should reverberate throughout our homes each day. As New Testament Christians, Joshua’s statement has never been more profound than in our case because the concerns that we face in our world today. We must come to the realization that human nature seeks only to satisfy the flesh. Separation from that desire and a commitment to serve God must be our aspiration. It is such a blessing that we are able to experience the thanksgiving season. We cherish the time spent with family and friends, and we focus on the things in life that we should be thankful for. What a great practice it is to count your blessings as it is said, but what about a thankful mindset as a daily practice? More often than not we get caught up in the hustle and bustle of our busy lives, and we forget the good. We are so surrounded by a world that does not have the same Godlike viewpoint. Our thoughts turn to sadness or heartache, and we are most often faced with an ever-popular media output of constant news that outlines the horrors of humanity. It is no wonder that we need to set aside a day like Thanksgiving to be thankful. However, the Bible speaks of our need to be set apart from the world, a peculiar people. A thankful attitude is one way that we can separate ourselves from our world. First Corinthians chapter 1 verses 4-5 say, “ I always thank God for you because of his grace given you in Christ Jesus. For in him you have been enriched in every way, in all your speaking and in all your knowledge.” Paul here is telling the Corinthians, who had their fair share of challenges, that even amidst all the strife and trial he was still mindful that because of the gift that Jesus gave to the world he could still be thankful. Paul was not only thankful for the gift of the cross, but also thankful for his Corinthian brethren. Too often we get wrapped up in what someone might have done, or their past, and we forget they are God’s children just like we are. In this season of thankfulness, I challenge us to be the kind of thankful that sets us apart from the world. “Thank [God] in everything [no matter what the circumstances may be, be thankful and give thanks], for this is the will of God for you [who are] in Christ Jesus [the Revealer and Mediator of that will]” (I Thessalonians 5: 18). We have an opportunity on a daily basis as God’s people to show the world that we are the light of the world, given a holy mission to seek and save the lost. Our spirit must always remain thankful even in the times we think we cannot, because it is through our thanksgiving that we glorify God. Psalm 118: 1 “Oh, give thanks to the Lord, for He is good! For His mercy endures forever.” Let us remember that as Christians, we don’t need a season to be thankful. We have the opportunity through Jesus to thank God each and every day. The question that we should be asking ourselves this season is, “How thankful to God am I daily?” I think once we can answer that question with sincerity we will really be able to grow in spirit and in truth. What exactly is Trunk or Treat? 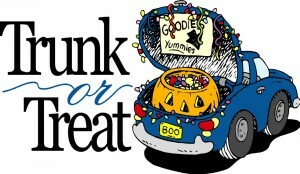 A safe, fun environment for kids to trick or treat – but instead of going door-to-door, the kids go trunk-to-trunk. Estes members decorate car trunks as spooky as they wish, don costumes, and provide candy and games for the kids as they come by. There’s also the very popular four-wheeler hayride, the “haunted hallway,” carnival games, photo opportunities, and refreshments for thirsty goblins. Trunk or Treat brings many people from our community to us. It is a great outreach effort but will only be a success with your help – you don’t have to have kids to help! 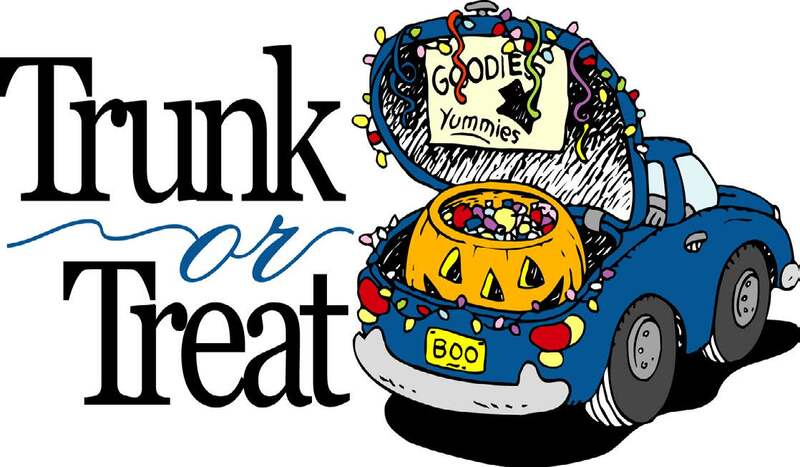 We need people to decorate car trunks and hand out candy, provide carnival games, provide snacks, act as greeters/guides, decorate, work the registration tables, and set up and clean up. If you can help in any way, sign up on the Activities Board. If you have questions, contact Suzanne Scott. You probably have a Bible that you have read, reread, and loved. It might be falling apart with passages underlined, notes in the margins, and wrinkled pages from being transported from place to place with you. If you are too young to have already had this experience with a specific Bible, maybe you have a parent or grandparent or maybe even a beloved brother or sister in Christ who has one of these cherished artifacts. Whether you pick up a family heirloom or log onto one of the many online ways to access the Bible–or even turn to multiple versions that you have downloaded to your mobile device, surely you have a list of favorite verses that you go to when you need them. One of the wonderful features of our connected world is that we can easily access the Lord’s Word, even when we can’t get our hands on our favorite Bible. Another exciting thing about access to the Word online is that you can connect to the many other people who love the same words that you do, that people all around the world who are accessing these words of hope, inspiration, and salvation! 1. John 3:16: For God so loved the world that he gave his one and only Son, that whoever believes in him shall not perish but have eternal life. Did your favorite verse make the list? Tell us in the comments. The Visitation Program will be reorganized this month. New teams begin meeting next month. If you are a current participant and want to continue or if you would like to join the program as a new member, sign up at the display in the lobby. The program’s purpose is to encourage those who are shut in or sick (and our missionaries and military) through personal visits or sending cards or emails. Participants in the program are divided into teams, and each group meets once a month to eat together and to make assignments. Some groups are larger and meet in the fellowship room. Some groups are smaller and meet in homes. You can indicate your preference on the sign-up sheet. We also encourage you to indicate that you will be a group leader (the main responsibility is to organize the monthly meetings). If you have questions, see John McLaughlin. 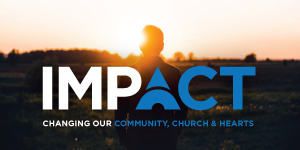 Associated with the Visitation Program is the Estes Connections Team. The Connections team also meets once a month but does good works and service projects as a group. If you’d like more information about Connections, see the lobby display or contact the Rudders. We always need more Estes Greeters. If you’d be willing to work with this program and greet our members and visitors each Sunday morning, there’s a sign-up sheet at the lobby display. We recently went on vacation and had a twelve hour drive there and back. Since I can’t watch the kid’s videos while I drive, I had a lot of time to think, and I came to realize why I like vacations and Lads to Leaders so much. While it makes me sound old, I figured out that my favorite part of vacation is having everyone together without having to run children all over the place. There isn’t a day of the week we aren’t hauling a child somewhere for something. Madeline is in Jackson four evenings of the week and most Saturdays. Benjamin and Jackson are both playing soccer with one or two practices a week (depending on which kid) and games another day a week. One of us is always taking a child somewhere and doing something. The drive also gave me time to think about the lessons my kids learn from all those activities. There are the positive lessons learned: sportsmanship, determination, teamwork, the value of hard work. There are also potentially negative things they learn. They learn that where you spend your time is what you value most. They learn another aspect of our culture as well: an obsession to win. Our lives are full of earthly things. While I am sure the life lessons my kids learn from their activities are important, they are earthly lessons and not heavenly lessons. What does all this have to do with Lads to Leaders? My vacation conversation with myself reinforced what I love about Lads to Leaders. I love that my kids can learn the same positive things they learn playing sports in heavenly pursuits. I love that my kids see that the things we hold dear about our worship are worth spending time learning how to do. I love that my kids learn how to lead in our worship services. I love that I can spend time with my kids in a structured way learning to love God and His word. I love that the competition aspects of our culture can be focused in a way to improve our service to God. I love that my kids get to spend time in God’s word learning. Above all, I love that we are reinforcing our most cherished beliefs. I love that, as a family, we spend time on the things that matter most. If this sounds appealing to you, we are having our Lads to Leaders kick-off Sunday night, Sept. 22, after worship. We would love to have you join us in teaching our kids what matters most. As the Estes congregation has grown from a group of neighbors meeting under a brush arbor to a family of over four hundred souls, many from other parts of the country (and world), her programs have grown along with her. Organized programs of ministry are created in order to help us meet needs that might be overlooked in the ever-expanding body. The need for organization and assignments is at least as old as Acts chapter 6, when complaints about neglected widows resulted in the designating certain men to take responsibility for the ministry. At Estes today we have a wide assortment of ministries based on this same model. Over the next few weeks, several of our ministries will be showcased in our Ministry Fair in order to help you find an area of involvement. Displays in the lobby will provide basic information. Ministry leaders will be there to answer your questions. Sign-up sheets will be right there for you to put yourself into the work. If you have a heart for widows, elderly folks, and shut-ins, check out our visitation program. If you want to help lead in worship services, or assist in our Bible classes, there are opportunities just waiting. If you are interested in evangelism, missions, local outreach, or participating behind the scenes in the work of the church, Estes has a place for you. Ministries highlighted this first week will include those involving missions and our Lads to Leaders program. Our theme is “Love, Connect, Serve, Grow.” There is a pulsing energy at Estes with many people seeking ways to genuinely show love and really serve others. While we hope everyone will continue to commit “random acts of kindness,” our organized ministries are designed to meet the needs of the church and community more systematically. If you have been waiting for God to give you a sign or open a door in order for you to fulfill his mission for your life, remember that Jesus modeled simple service to local people every day. Then check out the Ministry Fair and see if there are not some simple ways there for the body of Christ today to continue that fundamental mission.